Omidvaram halet khob bashe. kara khob pish mire? Bahar khosh migzare? In hame rooz migzare zood, Bahar. In bahar ecki az garm tarin tabestoonast. Omidvaram dar taameme zendegit movafagh bashe. Irani jam'at beh qoleh goftani az tarigh internet nemituni befahmi. Enshallah hamechi ok hast. Joe, oo manoto ra beham resandeh keh be hamdigeh rahati bedam. Baleh, khahesh meekonam sokout mara bepazir, az in rah behtar ast. Raste, yadam raft begam. Boos Joe joon, dooset daram. Mersi. Falan khodahafez. Sale No Mobarak. 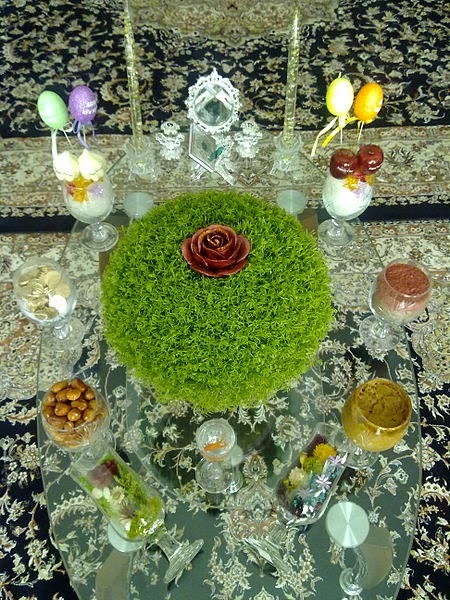 Happy Norooz. Chicago is home to almost 3 million residents. As the third largest city in the United States, you can expect a lot from the windy city. Especially since Chicago is known for quite a few things including their creation of house music. Norooz is approaching us and as the Persian New Year is almost here, there are quite a few things happening in the windy city. So, what are they? On Sunday, March 15th the Chicago Persian School is holding their annual Bazaar from 11 am until 2 pm. Located in the school's cafeteria, you can enjoy Persian pastries, haft seen, and more. This special day also includes Persian language classes for both children and adults. For more information, call: (847) 868-0577. On Saturday, March 21st you can enjoy live music from Shervin Arya and incredible food provided by the Caravan Restaurant. Starting at 8 pm, this Chicago eatery and hot spot will be having their Norooz 1394 party. Tickets are $30 for dinner buffet and cover. Must be 21+ to attend. Valet parking is available. For more information, call: (312) 493-5600. On Saturday, March 21st you can bring on Spring with a Persian Dinner for Nowruz hosted by Jay Savsani, Carlos C., and Anthony Chicago residents who are major foodies and decided to host a meet up for the Persian New Year. From 7 pm until 10 pm, you can enjoy great food and company on Grand Boulevard. Only a few spots available. The cost is $16. 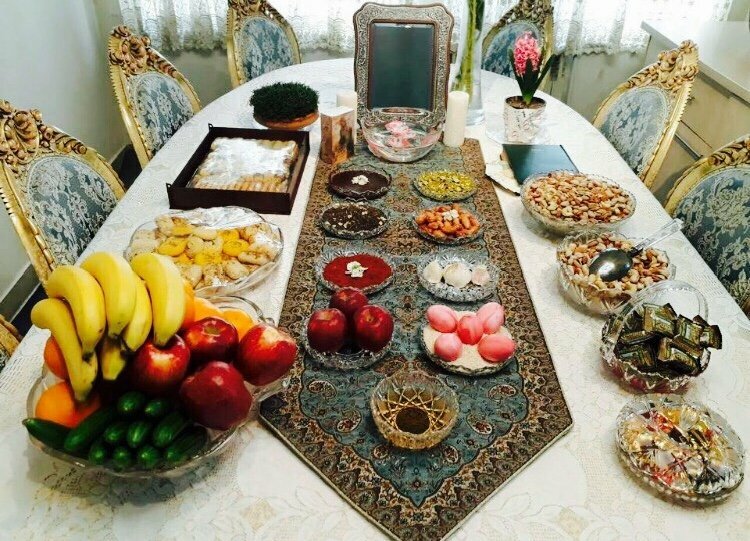 If you are looking to sign up, visit: https://www.mealsharing.com/mealshares/bring-on-spring-persian-dinner-for-nowruz-persian-new-year/happenings/2015-03-21. On Saturday, March 28th the 6th annual Chicago Norooz parade and festival will be held. Starting at noon, you are going to want to be at Chicago's Federal Plaza for this incredible event. The parade starts at 1 pm and ends at 2 pm. Afterwards, head to the festival from 2 pm until 6 pm for entertainment which is provided by DJ Sultan, Dance Fairies, and Donya Dance. Also included are food trucks, Persian sweets, flowers, a kid zone, and various contests and raffles, and more. The one and only Chicago parade and festival to celebrate the Persian New Year. For more information, call (312) 922-2300. On Saturday, March 28th from 7 pm until 2 am, you can attend the Zartosht's Nowruz 1394 party in Elmhurst. Live music provided by Ahmad Azad and Atta, as well as, DJ Armin, so be prepared to hit the dance floor for the New Year. Persian food, drinks, and desserts will also be provided. Tickets are $70-$80. For more information, call: (847) 209-8147. If I have missed any events (which I am sure I may have) or you have an event you would like to share, please post a comment and I will get it published, ASAP. Thank you. Pittsburgh is not only home to one of the greatest football teams, Pittsburgh Steelers, it is home to some of the greatest culture you will ever experience. With a population of almost 400,000; Pittsburgh is not only an exciting city, it is a city that I hold very near and dear to my heart. It is also my second home. So, what is happening in the steel city for Norooz this year? On Tuesday, March 17th (Happy St. Patrick's Day) join Persian Student Organization and the Persian Panthers for the Chahrshanbe Suri, the last Wednesday before the Persian New Year. You must be 18 years or older to attend. Hookah Bar is provided, but you must bring your own booze if you are 21+. For more information, email: admin@iraniansptgh.com. On Friday, March 27th you can experience an epic time at the Connolly Ballroom at University of Pittsburgh. Sponsored by the Persian Student Organization and the Persian Panthers, this is a Norooz event you don't want to miss. Starting at 7 pm, you can join laughing factory comedian, Tehran along with Radio Javan resident DJ Taba for a night of fun. The Halal dinner is provided by the Shamshiry Restaurant. Vegetarian options are available, as well. Tickets are $15-$25. For more information, email: admin@iraniansptgh.com. If you have an event you want to share, please share it in the comments and I will go ahead and add it here. Mersi. Falan khodahafez. Where is the truth in what you say? Is there a way you can make it glad today? Will there be a bad tomorrow, a bad day, or a bad today? Those endless dreams of wanting more than what is there—to give me hope that there are those who care—to express and project my feelings—a tad today. The past is a reflection of who we are—the present defines who we are—the future is something to look forward to—if we disregard the ignorance and rip the chad today. Accomplishing more than your enemy is the best revenge—because in the end amazing minds talk about accomplishments. Do you feel at all rad today? Writing emotions down on paper as a way to reflect generates excitement—keeping note of experiences of feelings are supremely gad today. Losing a loved one hurts us more than the end of their suffering—loving one who hurts you in this life feels painful, as if you have been had today. When life hands you lemons, do you make lemonade or a lemon sugar face scrub? Do you eat the lemon with Stevia? Do you squirt those lemons in the eye of your enemy? Where is dad today? Do I want to go home today? Will I find my way today? When I write, I am inspired by words more than people—Oh, what shall I write on the pad today? Chances are only regrets if you never take them—reality is fake, but dreams are real—giving up is losing—society can be beautiful, as society can be ugly and can turn flad today. As we lose the ability to appreciate the finest—we lose grasp of value—look into my eyes and let me show you the way—let me take you by the yad today. I beg for the ability to forget and forgive others around me, as I honor self love and hate self loathe—time gives me hope not to feel sad today. Giving up and depending upon a substance for help is never the answer because happiness depends upon ourselves—giving up is losing—I never want to rely on vad today. Where there is a will in this life—a reflection of hatred, disrespect, and inability to relate—a sign of the time is not now to be cad today. Defending your dignity is important, but not as strong as defending the truth—And it is those who refrain from defending what is right that are in danger of being sad today. Much love and light, much evil and dark, much black and blue—emotionally disconnected from the truth and reality of the world that is mad and sad today. A new dawn, a new day and new life begins and that day is on Norooz. Marked as the first day of Spring, it is the start of a brand new year. Celebrated by Persians all around the world, Norooz begins on Friday, March 20th. Los Angeles is often dubbed "Tehrangeles" for it's extensive Persian population. As Norooz approaches, a lot of amazing events are happening in the city of angels. So, what are they? On Saturday, March 14th the Farhang Foundation will be celebrating the Iranian New Year at the Norman P. Murray Community Center from 11:30 am until 5 pm. Located in the heart of Mission Viejo, if you are looking for an event to attend, this is definitely where you will want to be. For more information, call: (310) 666-1546. On Saturday, March 14th the Aliso Viejo Library and Persian Storytime presents the 2nd Annual Persian New Year Celebration. From 1:30 pm until 4:30 pm, you can celebrate Nowruz with children's art gallery, crafts, short video clips, storytime, face painting, and more. For more information, call: (949) 360-1730. On Sunday, March 15th the ISCC (or International Society for Children with Cancer) will be featuring an array of delicious Persian food including pastries and jams at the Hyatt Regency in Newport Beach from 11 am until 6 pm. Aside from amazing food, you can expect amazing entertainment too. The time is now to celebrate. For more information, call: (949) 679-9911. On Sunday, March 15th the Child Foundation will be holding their annual Nowruz Bazaar. Located at the Hilton in Woodland Hills, you can expect great food, great entertainment, and even greater people. Admission is free. For more information, call: (310) 453-0809. On Tuesday, March 17th the Norooz celebrations continue at the 6th Annual 4Shanbe Soori Party. Starting at 8 pm at the Port Restaurant in the heart of Corona de Mar, you can expect nothing less than a good time here. For more information, call: (949) 439-7097. On Tuesday, March 17th starting at 6:30 pm you can enjoy a Persian Feast at Ray's and Star Bar. Hosted by the LACMA, you can explore the museum after-hours and enjoy great art, food, and more. Located in the heart of LA, the Cur-ate Series is the opportunity to explore a Persian themed four course meal prepared by executive chef Viet Pham (Food Network Star, Iron Chef America, etc). The cost is $90-$100. For more information, call: (323) 857-6180. On Tuesday, March 17th join Kayham Kalhor and Shujaat Husain Khan as they entertain you with a Persian/Indian Fusion Concert with the Ghazal Ensemble and Sandeep Das. Located in the heart of Irvine, this event will be held at Barclay theatre and starts at 8 pm. For more information, call (949) 854-4607. On Tuesday, March 17th you can enjoy yoga and meditation at the Iranian American Center in San Diego from 6 pm until 7:30 pm. Hosted by the PCC (or Persian Cultural Center) releasing tension can be an amazing thing to do for the new year. For more information, call: (858) 552-9355. On Wednesday, March 18th the Rancho Park Rotary is holding their Nowruz Party. Located in the heart of Los Angeles if you want to eat, drink, and dance, this is the time to do so. For more information call: (310) 722-1817. On Friday, March 20th join the ISTA (or Iranian Students Association at University of California in San Diego) from 7:30 pm until 11:30 pm at the Price Center in San Diego for the ISTA Norooz Celebration and After Party. Enjoy a banquet dinner followed by live music and entertainment provided by DJ Mohsen and DJ Al. For more information, email: ista@ucsd.edu. On Saturday, March 21st the Persian Cultural Center and Association of Iranian Professionals is holding their Annual Nowruz Gala at the Marriot Hotel in La Jolla. Starting at 6 pm, this celebration includes a seated dinner, comedy by Tehran, a featured dance performance by the Persian Dance Academy, and music by DJ Julius. For more information, call (858) 522-9355. 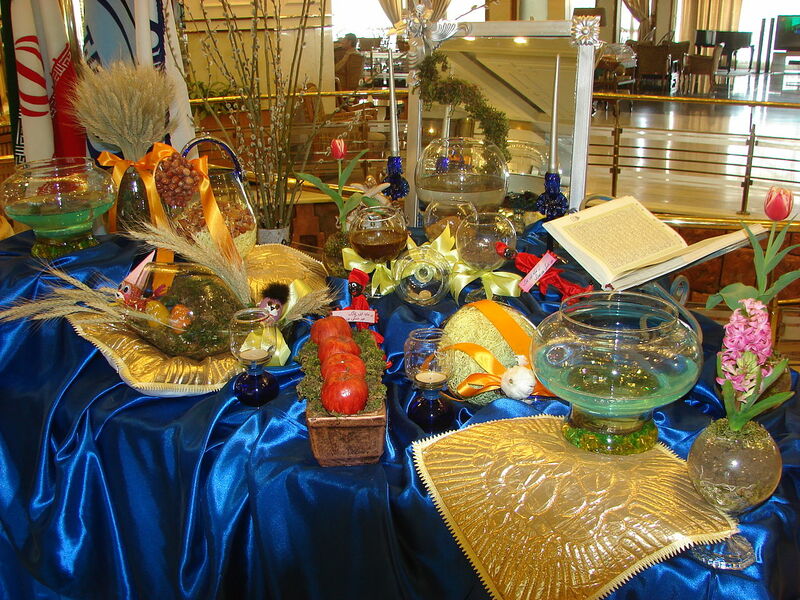 On Saturday, March 21st the IPAA (or Iranian Psychological Association of America) and the IADA (or Iranian American Dental Association) are holding their annual Nowruz Gala. This event is located at the Grand Ballroom in the heart of Los Angeles. Starting at 7 pm, you can expect an amazing time. For more information, call: (310) 499-5622. On Saturday, March 21st celebrate Norooz at Club Pardiss in Laguna Woods at Club House 7 for their annual Persian New Year Festival. From 6:30 pm until 11 pm, you can enjoy amazing entertainment from Nader, Nadia, Eddie, Lucia, and more. Complimentary Persian tea and pastries are available. For more information, call: (949) 268-2417. On Saturday, March 21st you can celebrate Norooz at the Grand Park with award winning actress and activist, Mary Apick. Located in the heart of "Tehrangeles" from 1 pm until 5 pm, you will have an amazing time. Discover Persian culture at it's finest. With special guests Mayor Erick Garcetti, Edward James Olmos, actor Paul Sorvino, and Parviz Sayyad, you are going to want to attend. Guests can eat, drink, and enjoy the finest Persian dishes. Live entertainment is also provided and to top it off, everyone will have the chance to explore Persian culture through the arts. Admission is free. Proceeds benefit the arthritis foundation. For more information, call (818) 288-4050. On Saturday, March 21st the Metropolitan Nightclub in West Hollywood is holding their Norouz Mega Bash. Starting at 10 pm, you can expect real excitement celebrating the Persian New Year. Music is provided by Bobby K, DJ Sepi, Aaron Sparxx, and Alex. #NorouzMegaBash For more information, call: (310) 363-0311. On Saturday, March 21st the PCC (or Persian Cultural Center) and the AIAP (or the Association of Iranian American Professionals) will host their annual Nowruz Celebration at the Marriott in La Jolla. Featuring DJ Julius, Tehran, and a performance from the Persian Cultural Dance Academy, you can expect an amazing time. Tickets are $100-$110 per person. For more information, call: (858) 552-9355. 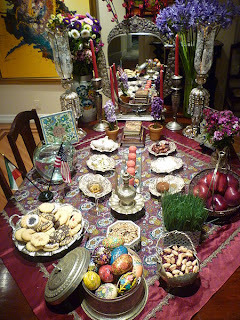 On Sunday, March 22nd, LACMA (or Los Angeles County Museum of Art) is celebrating their 7th Annual Nowruz Celebration. Located in the heart of LA, this event is also hosted by the Farhang Foundation too. For more information, call: (310) 666-1546. On Sunday, March 22nd you can join the IAC Group (or Iranian American Community Group) of Orange County at the Colonel Barber Park from 1 pm until 6 pm for their Persian New Year Festival. Located the Rose Garden in Irvine, you can enjoy live entertainment and amazing Persian food. Plus, it is free. For more information, email: contact@iac-group.org. On Sunday, March 22nd you can celebrate the 9th Annual Norooz Festival in Pasadena. The action starts at 2 pm. Not only will there be complimentary tea and pastries served, entertainment for both adults and kids, and contests. Is there anything better? Sponsored by Trader Joes, US Bank, Adspace, Inc. and more, you will want to be here to celebrate the Persian New Year. Guest of Honor, mayor Bob Bogaard will be attending. For more information, call: (626) 351-9631. On Thursday, March 26th celebrate the Persian New Year with the IALA (or Iranian American Lawyers Association) from 6:30 pm until 10:30 pm at Flame Restaurant in Los Angeles. Enjoy a Persian style buffet, as well as, appetizers and desserts. Entertainment and music provided by DJ Hessam. For more information, email: IALAlawyers@gmail.com. On Saturday, March 28th Essence and Avesta Empire proudly present their Kurdistan Nowruz Gala Party with Foad Naraghi and Nidar at the Eretz Cultural Center. Starting at 8 pm, you can enjoy a wonderful time. For more information, call: (424) 261-5873. On Saturday, March 28th IMAN is hosting their annual Persian New Year celebration. At the Iran Hall, in the IMAN center, you can enjoy a wonderful time. For more information, call: (310) 202-8181. On Saturday, March 28th celebrate Norooz Eve at Club Mahin in Laguna Woods. From 6 pm until 11 pm, you can enjoy an epic time at Clubhouse 7. For more information, call: (949) 468-6899. On Saturday, March 28th you can enjoy the musical stylings of Shahkar Bineshpajooh. Starting at 8:30 pm at the Dolly Theatre on Hollywood Boulevard, you can enjoy an amazing part of Persian culture. For more information, call: (310) 710-3040. On Sunday, March 29th the NIPOC (or Network of Iranian Professionals in Orange County) is celebrating the 13 Bedar at Mason Regional Park. Starting at noon, you can enjoy a wonderful time in celebrating Norooz. For more information, call: (949) 851-3993. If you know of an event that is not listed, please share the event in the comments and I will go ahead and publish it. Thank you. 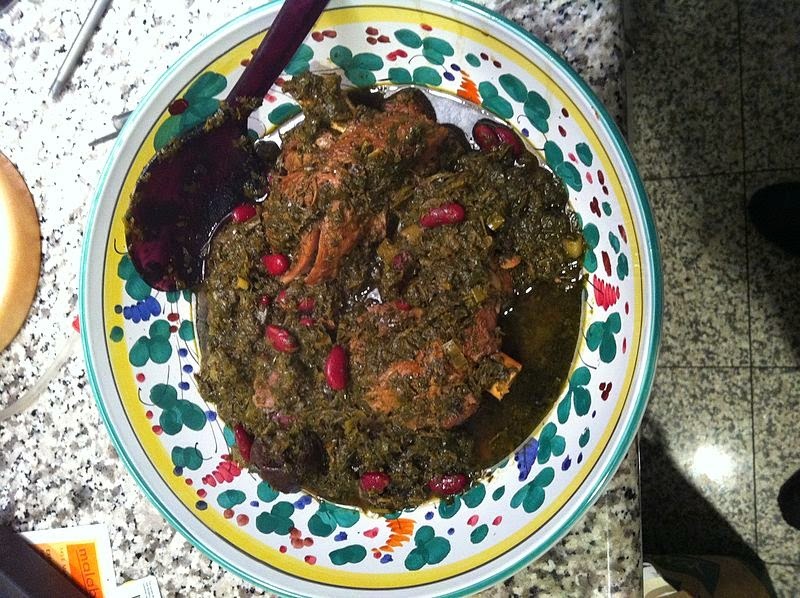 Koubideh, courtesy of Persian Dutch Network. Nicknamed "Tehrangeles", LA is known for its culture, its milieu, its bricolage, and its entertainment. With over 10 million residents alone in the metropolitan area, Los Angeles is also the second largest city in America. Are you looking to enjoy a fantastic Persian dinner? 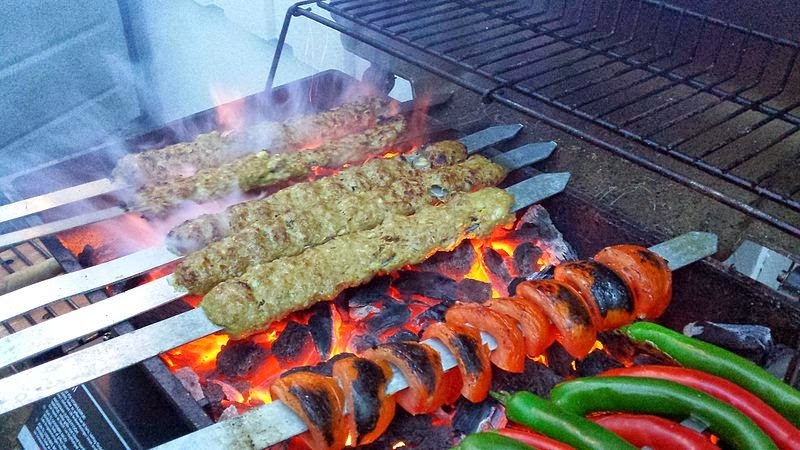 So, what are the best Persian Restaurants in Los Angeles? Just click here to find out. According to the 2013 census, There are 8.4 million residents alone in the metropolitan area of the big apple. New York City, the city that never sleeps and is home to many great things. And like every major city on this planet, the Persian population is quite extensive. The Persian New Year is approaching. So, what is happening in NYC for the Norooz? On Monday, March 16th you can enjoy a Norooz Dinner at Porsena from 5:30 pm until 10 pm. As Norooz approaches, so does the demand to enjoy great entertainment and even greater food. The cost is $55. For more information, call: (212) 228-4923. On Wednesday, March 18th from 6:30 pm until 8:30 pm, the Whole Foods Bowery is hosting a Persian cooking class. NYC's best chefs, artisans, and growers will come together to give you an experience you will not only love, but appreciate too. For more information, call: (212) 420-1320. On Friday, March 20th Cafe Nadery is holding their annual Persian New Year Celebration. Starting at 6:30 pm, you can the new year with an outstanding dinner followed by incredible entertainment. The cost is $70. For more information, call: (212) 260-5407. On Saturday, March 21st you can visit The Beard House for their annual Norouz Celebration. Join chefs Josh Lewin and Katrina Jazayeri as they take you through a taste of Persia with an amazing French fusion. The cost is $130-$170 per person. For more information, call: (212) 627-2308. On Saturday, March 21st Cafe Nadery is having another annual Persian New Year Celebration, so in case you missed it Friday night, you can enjoy it again. The action starts at 6:30 pm. The price is $70. For more information, call: (212) 260-5407. On Sunday, March 22nd join the Ghazal Ensemble: Kayhan Kalhor and Shujaat Husain Khan the Shimmel Center. From 7:30 pm until 9:30 pm, you can enjoy a rare yet unique Iranian meets Indian collaboration to celebrate the Persian New Year. For more information, call: (212) 316-1715. On Friday, March 27th join Dance of Oneness, the Liquid Grace at the L’Atelier for a Nowruz celebration. Explore Persian culture in depth, watching performance art at it's finest. For more information, call: (917) 842-0520. On Sunday, March 29th the IABA and the PAAIA are holding their annual Nowruz Dinner at the New York County Lawyers Association Ballroom to celebrate the Persian New Year. From 6:30 pm until 9:30 pm, you can enjoy an epic dinner from Colbeh and Shiraz, an open bar, and live music. Admission runs from $40 to $75. For more information, call: (646) 580-5118. I will continue to update this, as more events are shared. If you know of an event, please do share it in the commons. Thank you. New York City, the most populated city in the United States. With almost 20 million residents in the metropolitan area alone, the city that never sleeps is definitely a global power city and one of the most exciting places in the world. The question remains: can you find Persian food here? Absolutely. In fact, some of the best Persian food can be found in the big apple. So, what are the best Persian Restaurants in New York City? Just click here to find out. With over 9 million residents alone in the metropolitan area, Chicago is the third-largest city in the United States. Home to the busiest airport in the world, Chicago is known for it's culture, sports, and even as pioneers of electronic dance music. Chicago is also home to some of the best Persian food in the country. 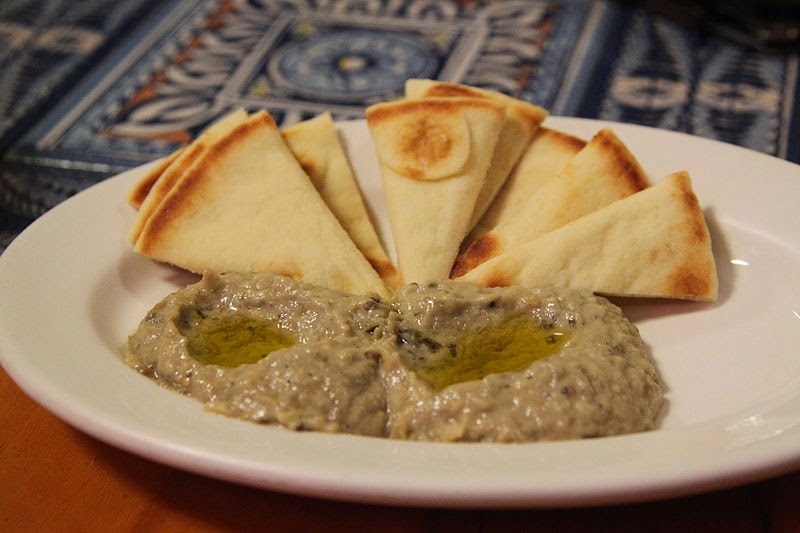 So, what are the best Persian Restaurants of 2015? Just click here to find out. I have been receiving several emails from people who read my blogs asking me what my thoughts were about the latest interview Piers Morgan did with Mahmoud Ahmadinejad about a week or so ago. First and foremost, I thought the questions were quite boring, moderately self indulgent, and well, a little banal which left me disappointed. As much as I enjoy Piers Morgan, this interview was definitely not one of my favorites. I have to admit, I thought that Mahmoud Ahmadinejad spoke relatively prudently despite the fact that I don't agree with several things that he says. He does appear slightly cunning, but who are we to determine such? If anything, he is guilty of ﻿being modestly outspoken. I think as a political figure, he seems dramatically ambitious, especially on his emphasis on reform. With that said, I don't understand why people use religion as a weapon to justify an action. I don't agree with a lot of what Mr. Ahmadinejad says, but I don't see him encouraging the conflict created by distorted international relations. This kind of distortion is created by those that love exaggerating to create afflictions to test allies and prevent political stability. I don't see Mahmoud Ahmadinejad as a threat. In fact, I think the most threatening individual(s) are those that we don't know. Yes, the "personality" that is evil is one that we will not see until something does happen. There is no connection to what one believes is "obvious" simply because that person's decorum is embellished and tested by media and the status quo masses that follow. I am proud to be an American, but I truly believe the reality is this; the killing of millions of individuals for the sake of thousands contradicts and undermines human's natural rights to a sizable degree of social harm. It is wrong and should never be supported as ok. I think the only solution ﻿to this issue is for allies of the countries to simply stop meddling into political affairs they are not a part of.